You've grown and now looking for some real warehousing capability? Through our Industry Partner PMA Global, we are able to connect your business to their warehousing and order fulfilment API's. We are looking to sink our teeth into the StarTrack API, and provide labelling and manifesting solutions for Australian Merchants. If you are interested in a labelling solution at absolutely no charge to you, then get in touch with us today. Looking to integrate your online store or internal business application to eParcel? Click the button below to find out more about how we can help you get started. If you're a high-volume, established online seller, sending more than 1,000 parcels a year, eParcel is the online delivery solution that can help you streamline your product distribution. We have a plethora of OpenCart experience. Let us know how we can massage your website to match your business needs. Our developers are always looking for a challenge. We pride ourselves on our ability to provide unique solutions to particularly difficult problems. Does your development needs have what it takes to stump them? Looking for developers which can provide real solutions? we specialise in out-of-the-box problem solving, and are always keen to take on new challenges. As your strategic partner, we offer tailored solutions that streamline and automate your business operations. 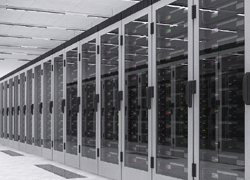 Need to provide or consume web services as part of your online project? Looking to integrate your online store or internal business application to eParcel? Click here to find out more. I highly recommended webdev because they have excellent opencart support, prompt customer service and are willing to go that extra step to get things done!! Their quick response when i needed it the most, saved me thousands in lost revenue and that's why I am thankful they are my new Australian based Opencart e-commerce host provider. They wanted a colour scheme to match their Australian roots and help build recognitiion. They wanted to target mobile devices, so design responsiveness was a must. Thanks guys for the opportunity, You've been fantastic to work alongside. 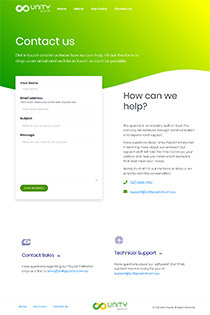 If your a contractor and looking for a payroll solution which has been designed and built from the ground up, and doesn't look like some dinosaur built in the 80's, then check these guys out. Their rates are competitive and the discounts they offer for referrals are fantastic. It's always good to work with a business who really cares about the products they produce, and redback vapery is no exception! All their products are small-batch and hand-crafted to ensure the highest quality. It was a real pleasure to work with this team, thank you guys for the opportunity. You've been fantastic to work alongside. If your a vaper and looking for quality e-liquids at a competitive price, redback vapery is a must to check out. This was a fun quick job for the awesome team over at Pandamonia! 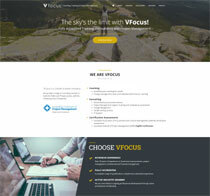 VFocus was an exciting challenge - to give an modern fresh corporate feel to an existing website which needed attention. It wasn't a big site, so with the help of some animation we were able to completely transform their online prescence. VFocus is a Canberra based company which provide a range of consulting services to both the Public and Private sectors. It is Managed and directed by the very talented Julie Summerfield. This was one project which we were heavily invested in. For some of our team, quitting smoking has always been a challenge. When we were approached by Club Vape, we were both keen and intrigued by this product. Since completing this project we are happy to say that for some of us, it has been over 2 months since quitting and have reaped the health benefits which has accompanied that. Thank you Club Vape for the new lease on life, and for having us involved in such an exciting launch! 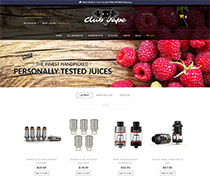 Club Vape is a professional and dedicated team, who are very passionate about the products they sell. Zukis Gift's Logo gets a fresh new look! As part of the (in-progress) development of the Zuki's Gift online store, and with their existing logo needing work, we worked tirelessly to produce a reimagined logo to suit the purpose! A massive thank you to our graphic designer Amanda for putting in a big effort and turning it around so quickly, professionally and of such high quality. A cheeky sister site to OHANA Swim was developed to launch a new womens intimates product line. Whilst pushed for a tight turnaround, the project went smoothly from start to finish. It was a fantastic experience to get to know Jodie and the team over at OHANA Intimates. ohanaswim.com.au has officially launched and we couldn't be prouder with the results. Head over to OHANA swim, check it out and grab everything you need for summer! 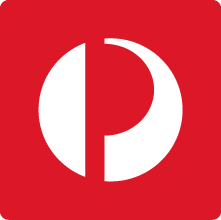 We are proud to announce that we have become an offical Australia Post 3rd Party Integrator, and are excited to be recognised for all the hard work we have put into delivering smart automated solutions for Australia Businesses. WebDev is looking forward to building this relationship and leveraging their increasing API's for the benefit of our clients. 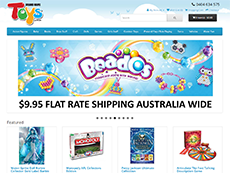 We recently helped launch a full stack ecommerce platform for Brand Name Toys. With the help of the amazing team over at GDBA, we are proud to release the revamped Bilpin Resort website. Bilpin Resort is nestled upon 43 picturesque acres within the core of Bilpin apple country, offering a location with views that have to be seen to be believed and personal service that is matched by no other. A big thank you to Amanda for involving us in this exciting project! BigTee Clothing was recently created through frustration of trying to find tee shirts and casual shirts for big men! WebDev is proud to have been a part of this ecommerce project. Good luck with your venture BigTee! Head over to BigTee and checkout their range of plus size clothing! Page rendered in 0.0573 seconds.